Summer is right around the corner and with that comes Summer Break. My kids are pretty excited to stay up a little bit later than their normal bed time, hang out with friends throughout the day and take a few road trips. We have a few things on our Summer Bucket List I can't wait to do. One of them being that the kids will get to go to our local church's day camp program for two weeks out of the Summer. What I love about this program is that the kids get to hangout with not only their friends from school, but kids from other schools as well. Another thing I love is that this program is inexpensive. For two weeks with packed lunches and a great price, the kids get to enjoy day camp and all of their activities they have in store for them, you can't beat it. As I mentioned above I have to pack the kids lunches during this program and on some days more than lunch if they are going to be outside. I like to pack my kids with sun screen, bathing suit, etc. Just so they have everything they need. Since there are a lot of kids that attend this day camp it's important that my kids items are labeled so they know what's theirs and what's not. Especially since we live in a small town and a lot of the moms shop at the same place. When deciding how I wanted my camp package of labels I got to customize my order by using Oliver Labels ordering/design process, which I thought went very smooth and was very easy to use. Since I loved the package as is all I really needed to do was customize the font, name and theme of my labels, turned out great. What a great package of labels to have. I decided to use the labels for my son since my daughter still had some labels left over. He was super excited to see that he finally had his own labels with his name. We decided to test them out so that he could show a few of his friends at school and that way I knew how durable they were before using them for this Summer. Let me tell you I'm very impressed. I used one of the original labels for my son's water bottle he takes to school every day and I've even put the water bottle in the dishwasher a handful of times and the label do not come off. Something I absolutely love. Now if you want the label off, it's very easy to remove without leaving anything behind. This is going to be great for Summer use. Disclosure: All opinions are my own. 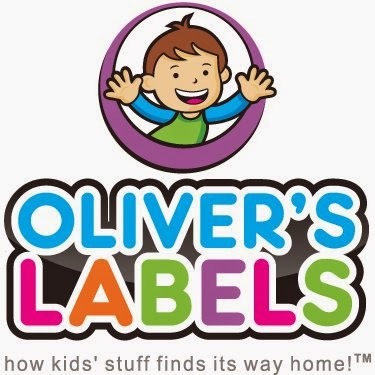 I received Camp Package from Oliver's Labels at no cost for the purpose of this review. No other compensation was received.